John-Henri Holmberg, a Worldcon 75 guest of honor, is among the 2018 winners of De Nios översättarpris, the translation prize given by Sweden’s Samfundet De Nio (The Nine Society.) The winners were announced at the literary society’s awards meeting on November 28. The Nine Society is a small literary academy founded in 1913 in accordance with the will of Ms. Lotten von Kraemer, a poetess and women’s rights advocate who was also the heir to a large fortune. Her will stipulated that the Society should have nine members, all selected for life and on their literary merits. The purpose of the Society was to “further Swedish literature by awarding published work so as to give acknowledgement to deserving writers”. To this end, the Society annually awards a number of different literary prizes: the Primary award, given to one major author annually; the Essay award, to an essayist; the John Landquist award, to a particularly deserving critic, essayist or humanist historian; the Karl Vennberg award, to a young poet; the Nine’s Winter award, to deserving authors or critics; the Stina Aronsson award, to a deserving author; the Translator award, to deserving translators of literary work into Swedish; the Special award, given at the discretion of the Nine; the Christmas awards, smaller amounts given to deserving writers at thediscretion of the Nine. So, in a given year, the Nine will hand out awards to, on the average, aroundtwenty people, each receiving from around $40,000 down to $5,000. By John-Henri Holmberg: Very belatedly, I am sad to announce the death of Swedish critic, translator, academic and editor Lennart Sörensen, born 1936, on May 18, 2014. LennartSörensen was raised and lived in Malmoe. An early SF reader, he attended the first Swedish SF convention, Luncon, held in the neighboring university town Lund on August 18-19, 1956. 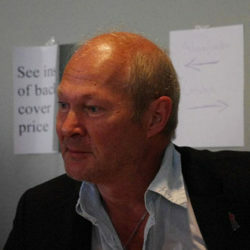 He also joined the Malmoe club Chaos, edited the second issue of its fanzine Chaos, and contributed to the most literary of the Swedish fanzines at the time, Urvoat, published by Claes-Otto Wene. While studying at Lund University, where he gained an M.A. 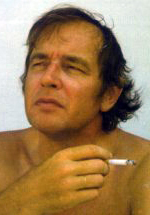 in English, Sörensen in 1957 began contributing reviews and essays, often on SF, to daily newspapers like the morning Sydsvenska Dagbladet and the two afternoon Aftonbladet and Kvällsposten; he also wrote in various literary magazines. In late 1957 he began contributing to the Swedish SF magazine Häpna! in which he over a period of six years published four short stories and more than 60 essays, editorials, and in-depth reviews; from 1958, he was also the magazine’s co-editor, selecting as well as translating more than half of its content. 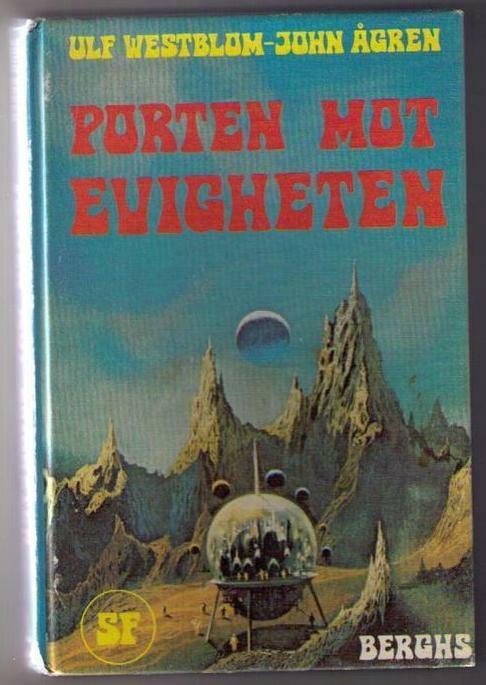 In 1959 he also contributed a story as well as two essays to the Swedish edition of Galaxy magazine. After ending his work for Häpna! in 1963, when he had married and needed to increase his income, Sörensen accepted a teaching position at Lund University and simultaneously began to write textbooks in literature, English and Swedish for immigrants. He continued writing freelance reviews and essays for newspapers. 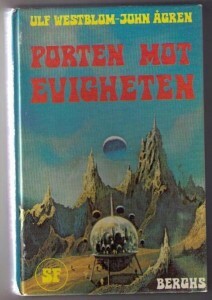 Sörensen’s work in fandom and SF was on the whole limited to the eight years from 1956 through 1963. Nevertheless, he was the first literary critic in Sweden to discuss and review SF as a serious, adult literary form, and his work on Häpna! very obviously contributed greatly to the magazine’s quality. He deserves to be remembered as one of those making a lasting contribution to the establishment of SF in Sweden. Terry Pratchett and John-Henri Holmberg were on consecutive episodes of BBC Radio4’s Front Row Daily last week, now available as podcasts. Ulf Westblom, a Swedish fanzine publisher and sf author in the 1960s and now an MD in Texas, was interviewed in the Swedish daily Expressen about the fertilizer factory explosion. Ahrvid Engholm and John-Henri Holmberg say Westblom edited the fanzine Mentat (first issue 1967) and helped organize the Swedish Science Fiction Society. These days Westblom lives in the vicinity of West, Texas. “It is a tragedy,” he said. 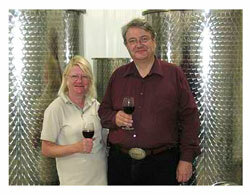 Ulf and his wife Inga-Lill Westblom run a vineyard outside of Waco, Texas. Only 20 minutes away is the town of West where a large explosion occurred in a fertilizer factory during the night of Wednesday. Ulf Westblom knows several people in the small town. “It is a really nice town. It is a great tragedy, “he said. During the evening and night, he has followed the news on television. – They say on television that several hundred are injured. There are many helicopters gone to trauma wards at hospitals in Waco, says Ulf Westblom, who until last year worked as the Chief doctor at a Veterans Hospital in Waco. Ulf Westblom has itself been in West several times. – Many Czech immigrants live in West, and the city is famous for its Czech pastries.